Planning your wedding is a joyous and potentially overwhelming occasion. 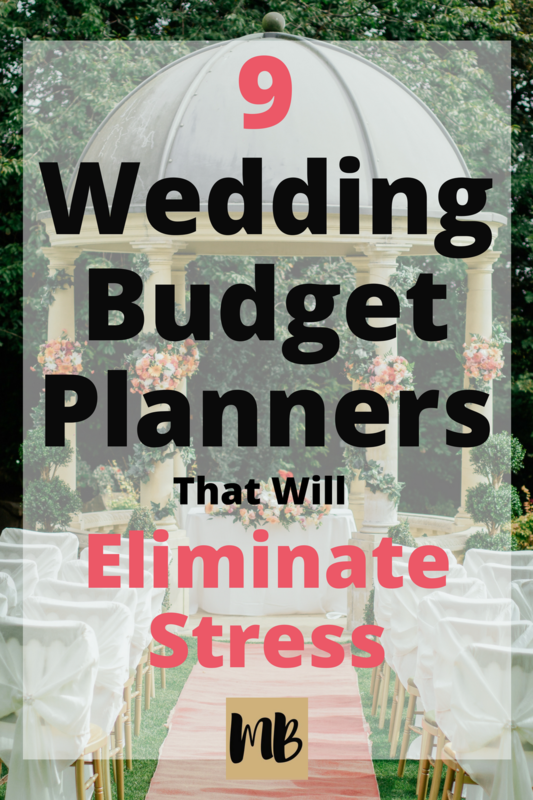 Eliminate the financial stress with these gorgeous wedding budget planners. This gorgeous all-in-one planner features a beautiful copper foil monogram and a customizable quote on the back cover. 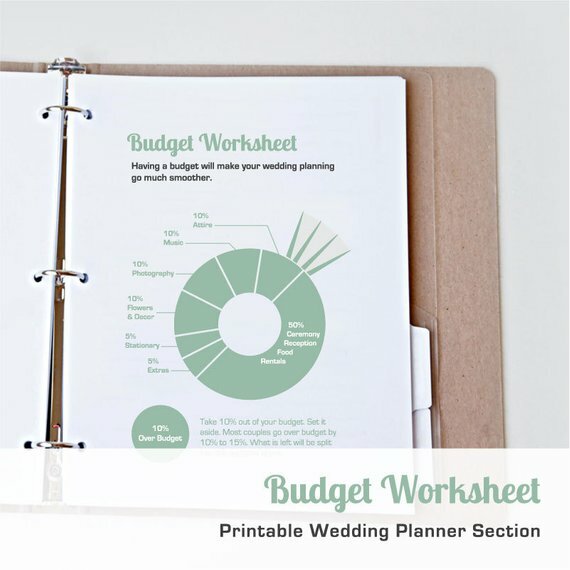 Use this keepsake to stay on track with your budget and to plan all the details of your Big Day! 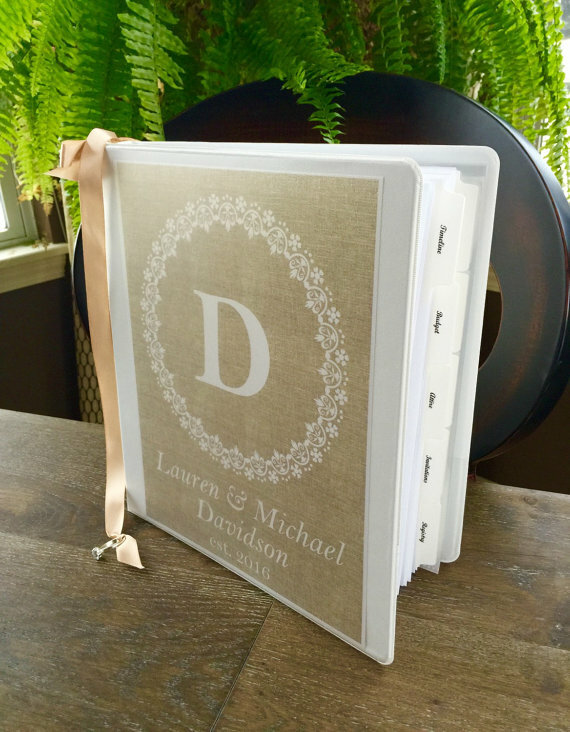 This pretty vinyl binder features over 80 useful wedding planning pages so you can mind your budget and create an event to remember. 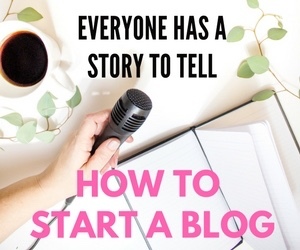 Customize the initials on the cover and the ribbon bookmark color to make it your own! 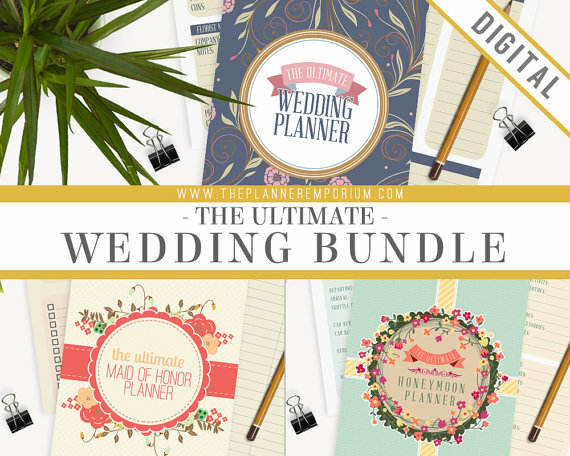 This digital bundle includes everything you need to plan your wedding and honeymoon. There are over 80 pages jam-packed with essential planning spreads. This stunning spiral-bound planner features space for tracking your budget, payments, vendors, and other essential information. What a thoughtful gift for the bride-to-be in your life! For the practical bride who values simplicity, this printable budget worksheet will help you to create a detailed record of your wedding-related expenses. 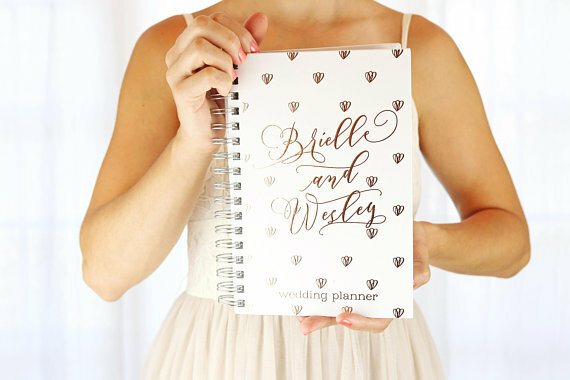 It’s a great addition to your wedding binder! 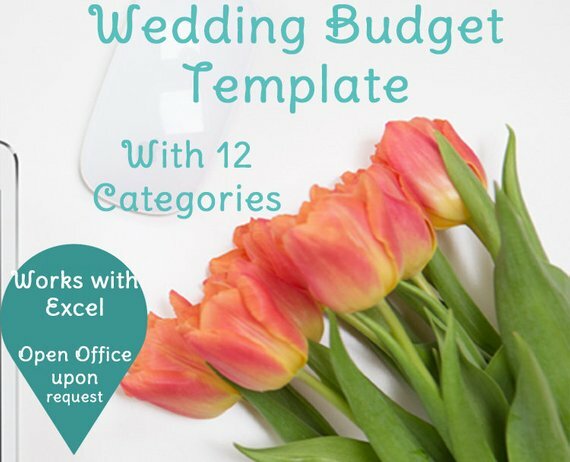 If you adore spreadsheets, this Excel and Open Office friendly wedding budget template is just for you! 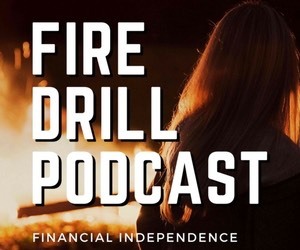 Comes with 12 preset categories. 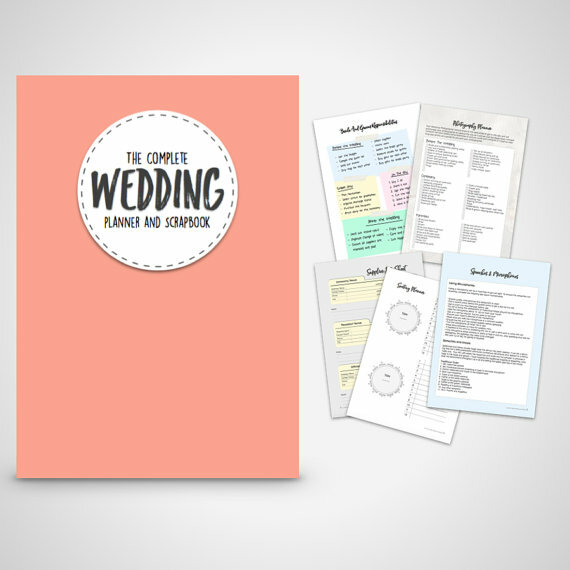 This dreamy set of printables will help you plan your wedding budget and much more! 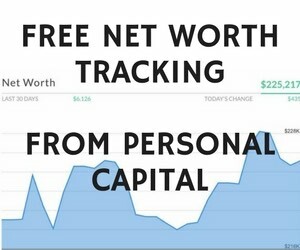 Contains 20 pages of useful checklists and trackers. 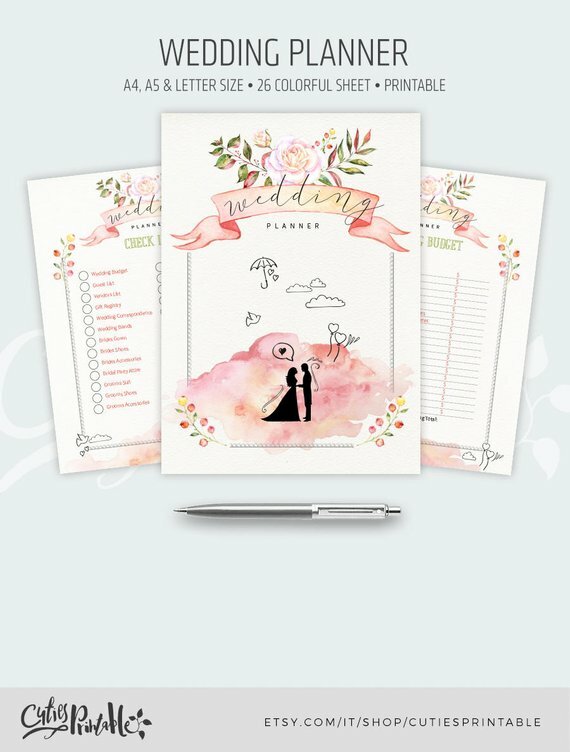 This scrapbook-style wedding planner has several unique layouts to plan your budget and to record special moments. 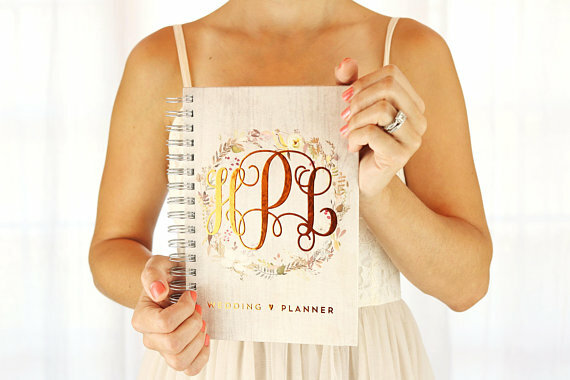 The best part is this planner comes with three wedding guides! 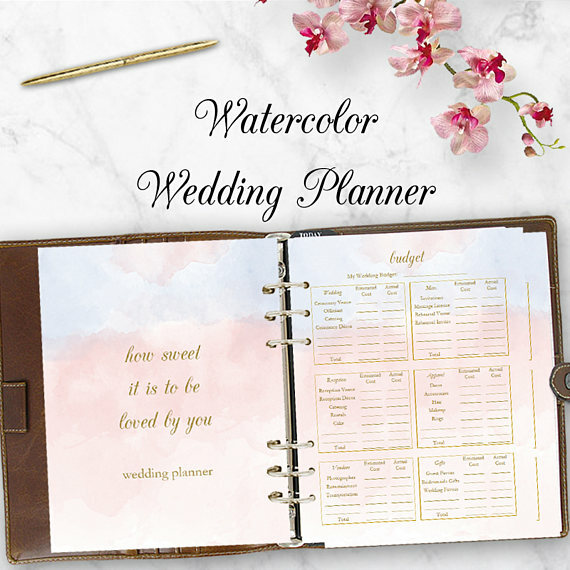 This beautiful collection of worksheets will guide you through the entire wedding planning process in 26 pages. If you love florals and watercolors, you’ll fall in love with this planner. 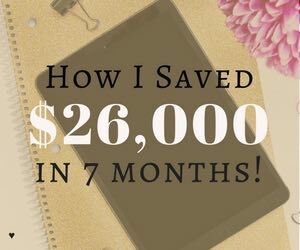 These amazing planners will make it easy to keep your spending in check. Do you have any tips to keep a wedding budget on track? 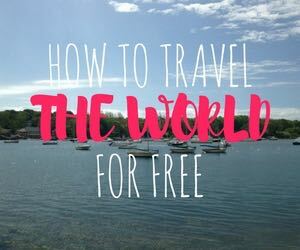 Share them below!